Important: Please note that Storman DOES NOT support the Cash Accounting method; only Accruals. This article refers to accounting terminology and requires setup in both Storman and Xero. You may wish to have your accountant on hand during the setup process. This article assumes that you already have Xero setup with you account information & general ledger. If not, please view the knowledgebase on exporting chart of accounts to Xero. Storman is not responsible for the accuracy or relevancy of this information, as Xero is not our product. Please seek advice from your accountant to correct Xero setup procedures. 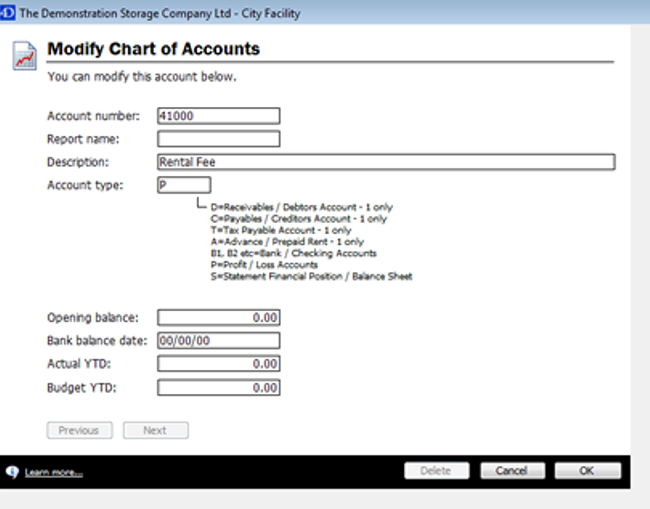 Navigate to the accounting tab under system setup to begin. 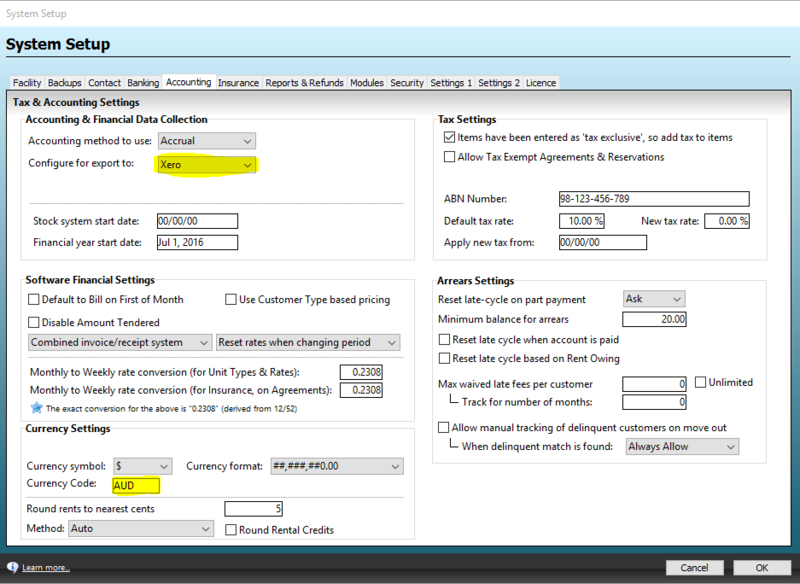 In the Accounting & Financial Data Collection section, select Xero from the dropdown next to Configure for Export to. Enter your currency (NZD or AUD) in the Currency Code under Currency Settings. Enter the GL Code that you wish to use; these should correspond to the Xero Chart of Account codes that you want those items to map to. Note 1: When entering a new GL Code, you will be prompted by Storman to create a new code in the Chart of Accounts. Click Yes to this. Note 2: Although GL Codes have to be unique you are able to use the same GL code for multiple Analysis codes. This means that all transactions from those Analysis Codes will be linked to the same account in Xero. As the account number will have already been created from the Analysis Codes, all that is required is to enter the Description. Please ensure that the Description matches the name of the account in Xero.